Mr. Mason grew up in El Dorado, Arkansas. There, at a young age, he achieved the rank of Eagle Scout for the Boy Scouts of America. He received his undergraduate degree from the University of Mississippi, then returned to Arkansas and received his Juris Doctorate from the University of Arkansas at Little Rock School of Law. He has been practicing law in Little Rock for over 25 years. Mr. Mason has always had a love for aviation and has been a licensed pilot for over 25 years. He has flown aircraft ranging from jets and multi-engine aircraft to single engine aircraft. He holds commercial single and multi-engine certifications as well as a current instrument rating. Currently, he flies a Beechcraft Baron for his law firm. Mr. Brain was born and raised in Little Rock, but has been living in Rogers, AR for the last 20 years. He and his wife, Kelly, have two teenage children, Jeb and Georgia Grace. Mr. Brain received a BSBA in Finance and Banking from the University of Arkansas in 1992. In 2002, he received an Investment Management Analyst Certification from the Wharton School in conjunction with Investment Management Consultants Association. Currently, Mr. Brain is Vice President, Stephens Inc. Private Client Group. Prior to taking that position in 2009, he rose to Vice President, Merril Lynch, Pierce, Fenner & Smith. He has also worked as a bank examiner for the Arkansas State Bank Department. Petit Jean Mountain in the late 1970s, and is now an 800 hour private pilot. He enjoys attending several fly- ins a year. He has flown nine times to Airventure Oshkosh including once as part of the Piper Cherokee’s 50th Anniversary mass arrival. Mr. Jackson is a native Arkansan who was born in Paragould, then graduated from high school in Conway. He and his wife, Molly Houseworth-Jackson have lived in Blytheville with their two children since 2006. Mr. Jackson attended Arkansas State University in Jonesboro as well as the University of Arkansas at Little Rock and received a BA in Finance in 1999. He then began his career in banking and finance as a financial advisor for Smith Barney in Plano, Texas. He moved back to Arkansas in 2003 to join Regions Bank in Rogers as a commercial loan officer, then moved to Farmers Bank and Trust of Blytheville as the Senior Loan Officer and Vice President of Loan Operations, where he remains today. Mr. Jackson has had a life-long love for aviation. His father, a banker, was also an avid pilot who shared the joy of flying with anyone willing to learn. His childhood memories include countless hours around the dinner table as his older siblings plotted their cross-country courses around Northeast Arkansas. Mr. Jackson has been flying since a young age and is a multi-engine rated pilot. Today, he enjoys most of his flying from a grass strip on the banks of Lake Norfork, and he loves sharing his passion for aviation with his children. Mr. Dawson is a native Arkansan, growing up on a Dairy Farm only 13 miles south of his hometown of Clinton, AR. After graduating from South Side High School, he began his aviation career at Spartan School of Aeronautics. He and his wife Anita were married shortly after beginning Spartan. They have 4 teenagers (two boys and two girls) which creates even playing field with a very active fun filled lifestyle and never a dull moment. Mr. Dawson founded Dawson Aircraft, Inc. in 1990 and resides as current president. Aviation has been his life now for almost 30 years. He is a certified aircraft mechanic and pilot. He has served as airport manager at the Clinton Mun. Airport all of these years. His time is spent working with aviation in many facets. He works with State and Federal agencies including NTSB, FAA, Engine and Airplane manufactures. And on a local level he works with Arkansas airports, managers, police, Arkansas game and fish, and on occasion Arkansas Forestry. Aviation has allowed Mr. Dawson many adventures, from ferrying turbine aircraft to other countries, seeing their infrastructures, making great friends and business partners, or just by playing around with float planes and tailwheels just for fun. Aviation has also provided many opportunities to join efforts doing mission work in the USA and abroad. Mr. Dawson truly enjoys the aviation community of people that surround him day in and day out, and this industry. He considers it an honor to serve on this board. Mr. Michael Hutchins is owner and operator of Custom Air, Inc. in Roe, Arkansas. Mr. Hutchins serves the surrounding areas as an agricultural aviator. Mr. Hutchins is a native Arkansan. Born in Stuttgart, he grew up in the small community of De Valls Bluff and graduated from De Valls Bluff High School in 1991. He attended Arkansas State University. While in college, Mr. Hutchins was employed during the summer months at Custom Air, Inc. working on the ground crew. He quickly developed a love for aviation. Mr. Hutchins began flying in 1994 and earned his commercial pilot's license in 1995. In the following years, he earned his instrument rating, seaplane rating, and most recently, his rotorcraft rating. After 21 years of agricultural flying, Mr. Hutchins has accumulated 15,500+ hours. His flying experience has included anything from fighting fires in the western U.S. to fertilizing trees in the southeastern U.S. Custom Air, Inc. currently operates three Air Tractor 802s and a Turbine Thrush that are used to serve the aviation needs of thelocal farmers as well as fulfilling government contracts. Mr. Hutchins is the holder of a Parts Manufacturing Authorization (PMA) and produces parts for various models of ag planes. He also holds two different STCs that cover five different models of aircraft. Mr. Hutchins has been an active member of the National Agricultural Aviation Association (NAAA) for the past ten years. He has served on various committees within the NAAA. Mr. Hutchins currently serves as secretary of the Arkansas Agricultural Aviation Association (AAAA), of which he has been a board member for nine years. The AAAA awarded him the honor of Pilot of the Year in 2006 and Operator of the Year in 2016. Mr. Hutchins has also been airport manager of the Clarendon Municipal Airport since 2007. Mr. Hutchins and his wife, Angie, live in De Valls Bluff and have three children, one daughter and two sons. He enjoys spending time with his family and anything related to flying in his spare time. 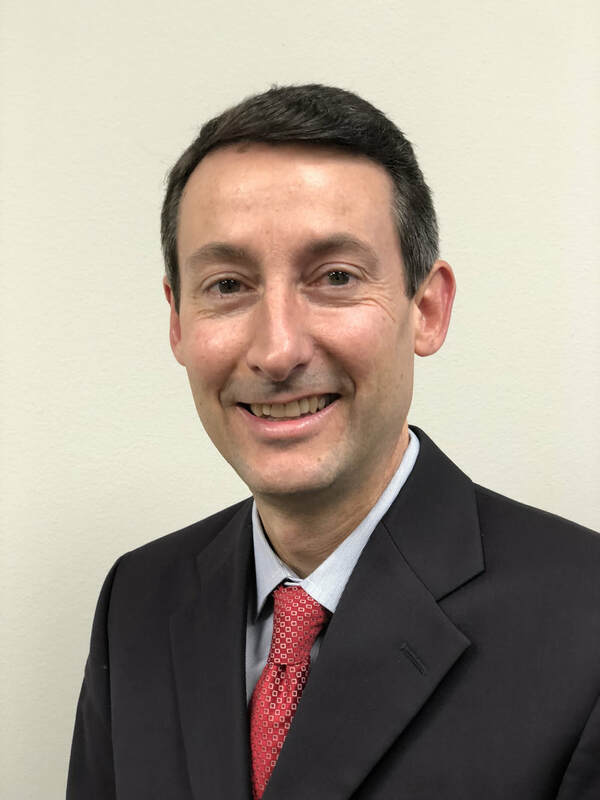 Mr. Hutchins looks forward to serving as a commissioner within the Department of Aeronautics and hopes to contribute to their mission of furthering the safety and enhancement of airports across the state of Arkansas. ​Ed Sanders was born and raised in Hot Springs. He and his wife, Donna, have two children Karina and Blake who are both private pilots. Mr. Sanders received his BSBA in accounting from the University of Arkansas in 1986. Mr. Sanders is President and CEO of Sanders Supply, Inc. which is a wholesale distributor of heating and air conditioning, plumbing, and electrical supplies. Mr. Sanders has loved aviation since he was a child. He soloed at age 16, private pilot license at 17, and commercial, instrument, and instructor on his 18th birthday. He currently flies a G58 Baron. He is honored to serve the aviation community by serving on the Arkansas Department of Aeronautics Commission.